If you are at all experienced with the buying and selling of precious metals, you know that gold is arguably the most popular of them all. For thousands and thousands of years people from all corners of the world have been trading gold and using it as a store of value, most often in the form of currency. Today, gold is still traded and exchanges hands thousands of times on a daily basis. One of the most popularly traded types of gold that is in existence today is the one gram gold bar. One gram may seem small, and it is, in fact it is one of smallest types of gold bars around but that does not mean it is cheap. If you are even considering purchasing gold as an investment, you must be sure that you have the proper funds in order to do so. If you are seriously interested in purchasing gold bars such as a one gram gold bar the following few sections will help you understand everything there is to know. From the outside looking in, a one gram gold bar is a one gram gold bar no matter who produces it. This is true to an extent, but in reality most investors care greatly about who produces their gold bars and in some cases will even spend more money to purchase a bar that has been made by their producer of choice. One gram bars of gold are about the smallest type of gold available for investment and because of this their packaging must be of high quality. These types of bars typically are encased in plastic attached to a piece of cardboard as to add a bit of size to the bar. Some people take their gold out of the plastic and cardboard but doing so not only jeopardizes the actual condition of the bar but it also leaves it very susceptible to being lost or misplaced. 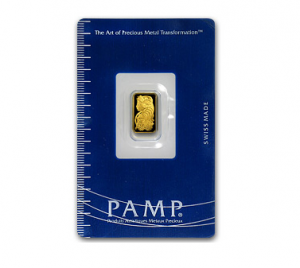 Like previously stated, one gram gold bars are incredibly small and if you take them out of the packaging you are putting your investment at risk. While not every gold bar is the same exact size, most do fall into fairly similar size ranges. It cannot be stressed enough just how small these bars are so if you purchase them without packaging or take them out of the packaging you have to be very careful with them. Typical dimensions of a one gram gold bar are 15mm long x 8mm wide x .4mm deep. If you are familiar with precious metals you are probably also aware of the fact that gold and silver bars are both sold at a price higher than the value of the metals themselves. If gold dealers simply sold the bars for what they were worth at that present time they would only be breaking even and thus not making any money. 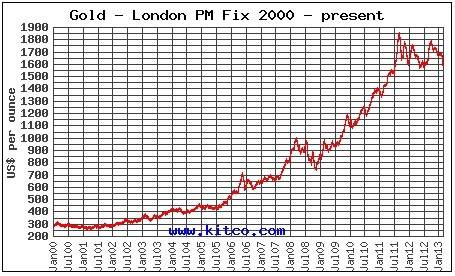 Instead, gold bars are sold at a price that is slightly higher than what the gold in the bar is actually worth. Depending on the type of bar you purchase and the site or store where you are buying from you will see different prices over the spot value. To be safe however, you will commonly find that one gram gold bars are most often being sold anywhere from $10 to $15 over the spot value of the gold. To get the best deal on your gold bars you will need to shop around from site to site and find the bar that best fits your price range.